Please join us for our Elementary Montessori Education Night. 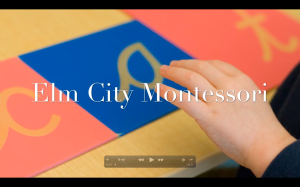 This entry was posted in and tagged Montessori Education Night on April 24, 2019 by Heather Locklear. Please mark your calendars for Elementary Montessori Night on Wednesday, February 27th from 5:30-7:00pm at Blake St. We will take time to share our Anti-Bias, Anti-Racism (ABAR) work in our curriculum. We are working on how we teach history, read books, explore stories in science and in math that reflect the diversity of our school and disrupt systems of oppression. Children will share their work as a celebration of Black History Month. This entry was posted in and tagged Montessori Education Night on February 27, 2019 by Heather Locklear. Please mark your calendars for our Primary Montessori Education Night on Wednesday, February 13 from 5:30-7:00pm at Quinnipiac Ave. Come and experience the materials and lessons that help our children learn to read and write. Our time together will focus on Oral Language, Writing, and on our work with Guided Reading. Families will come away with a sense of children’s work and share ways to support reading at home. This entry was posted in and tagged Montessori Education Night on February 13, 2019 by Heather Locklear. SAVE THE DATE for our final Montessori Night of the school year! Please join us for a deeper exploration of Montessori theory, materials, and Montessori at home. We are excited to share this experience with our families! This entry was posted in and tagged Montessori Education Night on April 25, 2018 by Amelia Sherwood. Join us for a day in the life of your Montessori child! We will take time to explore the classrooms and materials and talk with classroom guides about Montessori. Additional details to follow. This entry was posted in and tagged Montessori Education Night on February 28, 2018 by Amelia Sherwood.